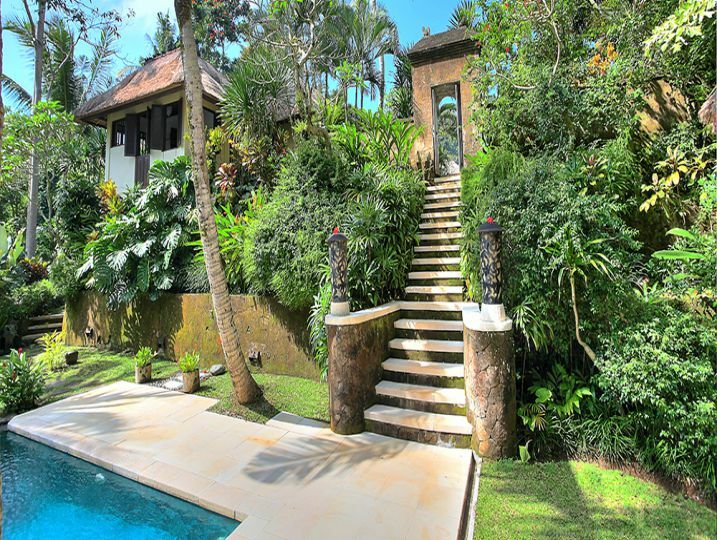 Set outside the peaceful hum of Ubud, Villa Alamanda is perched high on a jungle-clad hillside overlooking a ravine. 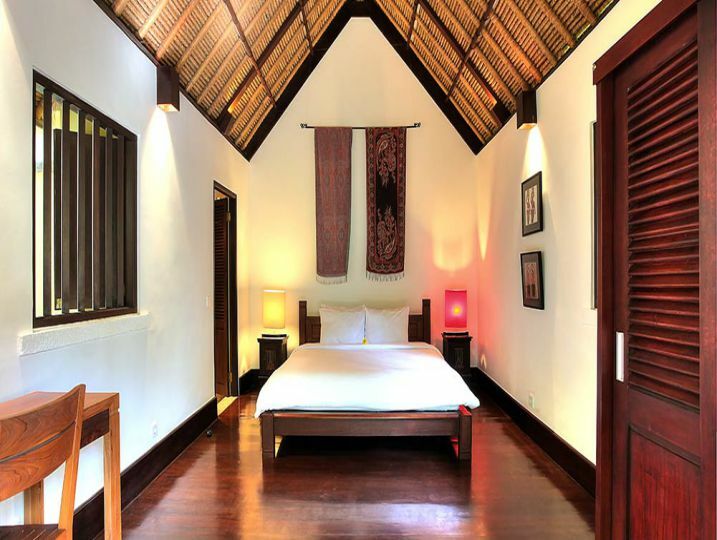 This beautiful four-bedroom villa epitomises calm and tranquility and is the perfect retreat for those seeking a quiet and relaxing holiday within easy reach of Bali’s exotic cultural centre. 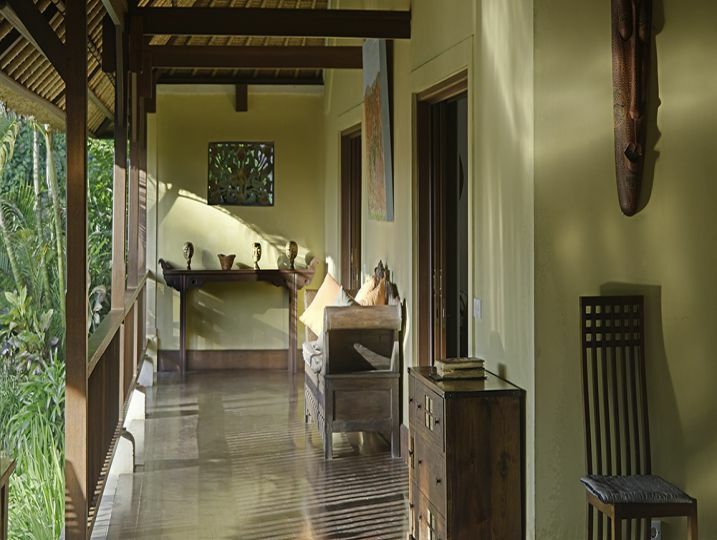 Carefully designed to harmonise with the environment, the villa combines traditional architecture and materials to create an enchanting tropical oasis. 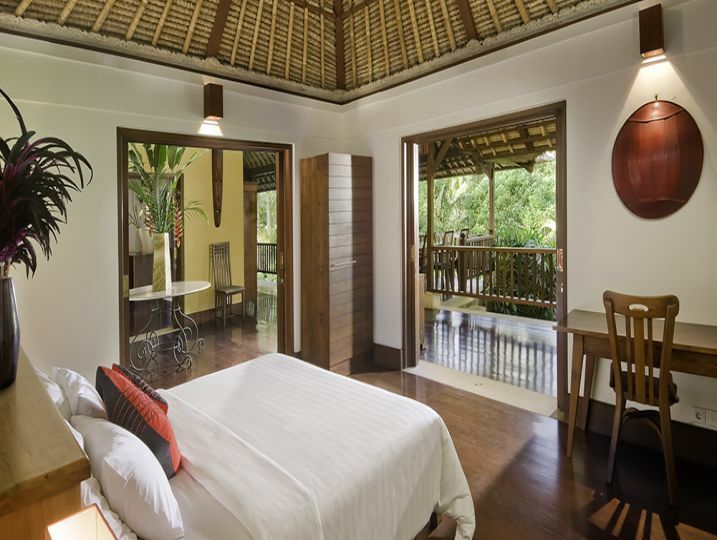 Villa Alamanda’s design complements its natural setting with alang-alang thatched roofs, wooden beams and polished floors featuring a large open-sided terrace to enjoy the balmy tropical climate. 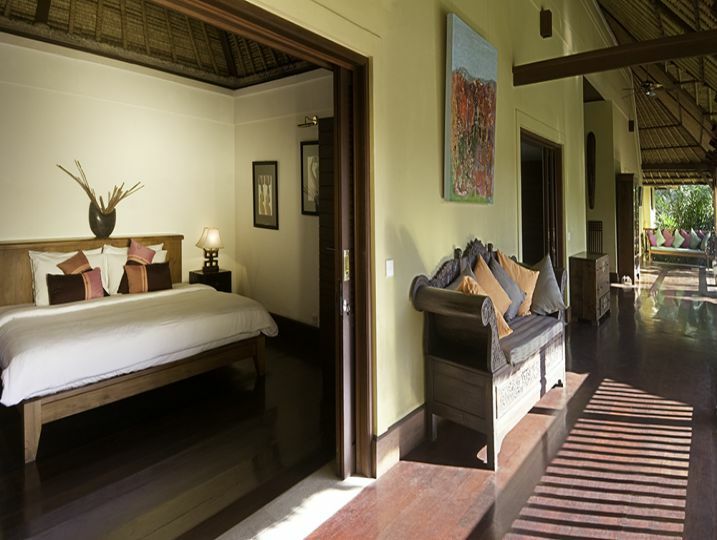 Air-conditioned king-size bedrooms with marble ensuite bathrooms provide the perfect respite from the heat along with a fully enclosed media room. 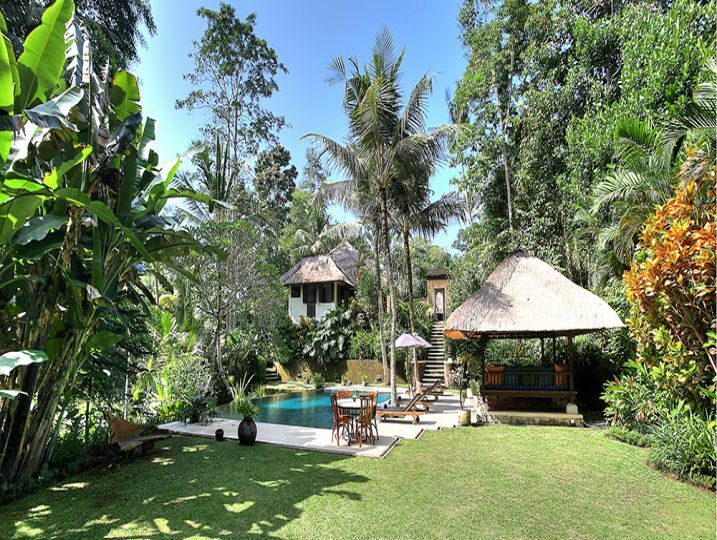 Alamanda’s gardens are beyond spectacular, with fragrant frangipanis, red heliconias and the bright-yellow alamanda (after which the villa is named) injecting colour against the rich green foliage of the surrounding jungle. 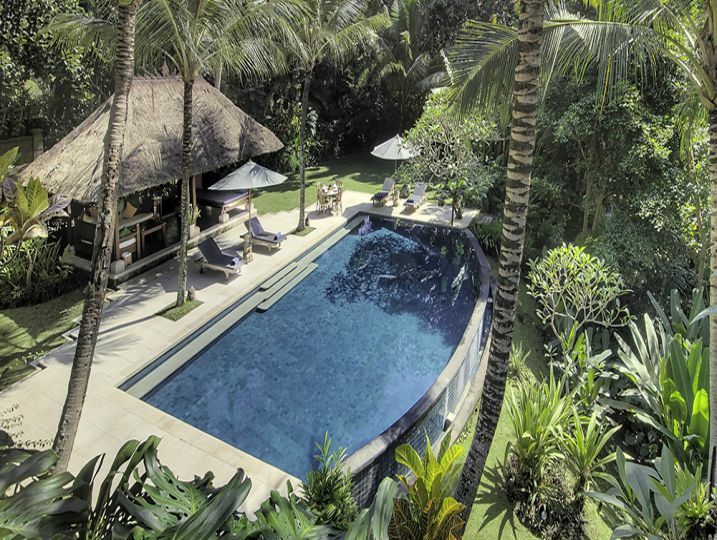 The 11m x 8m infinity pool is perched above the ravine and features a relaxing poolside balé . 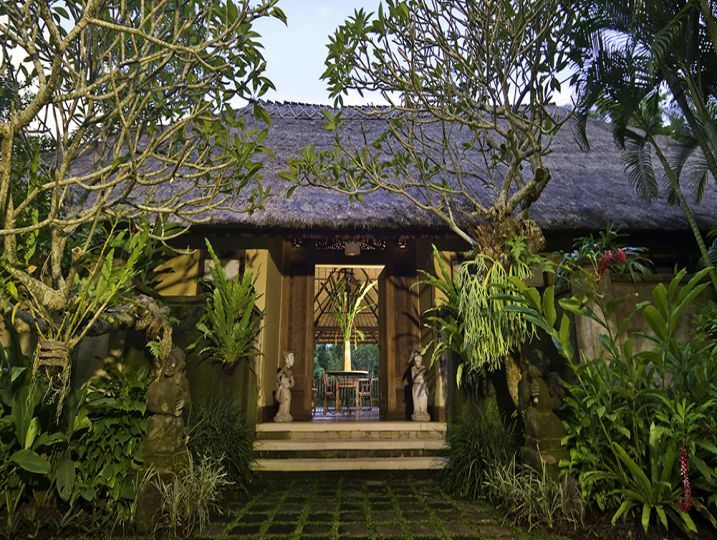 Villa Alamanda is a special place; part of a traditional wood-carvers’ village where guests can immerse themselves in the routines of daily Balinese life from elaborate Hindu ceremonies to children playing in the street. 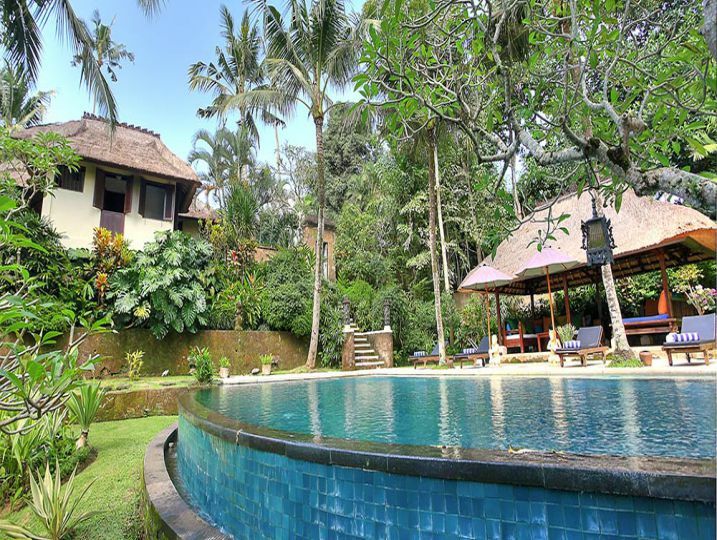 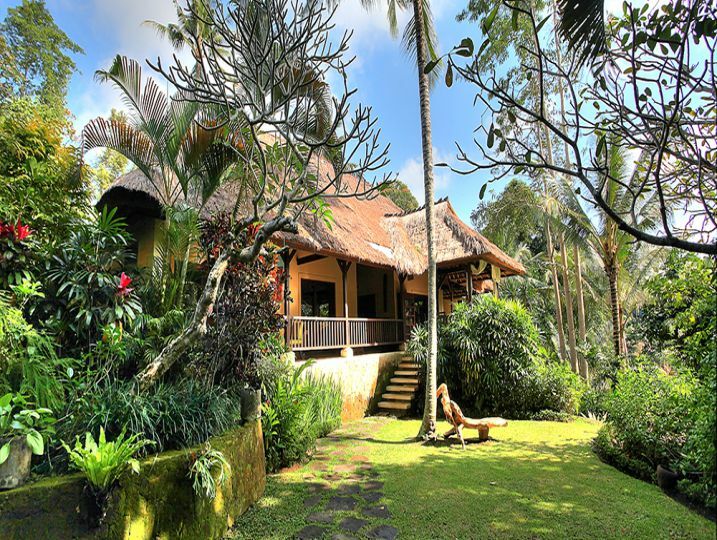 The villa’s location is convenient for accessing nearby attractions including Ubud, Goa Gajah (Elephant Cave) and the UNESCO rice terraces of Tegallalang. 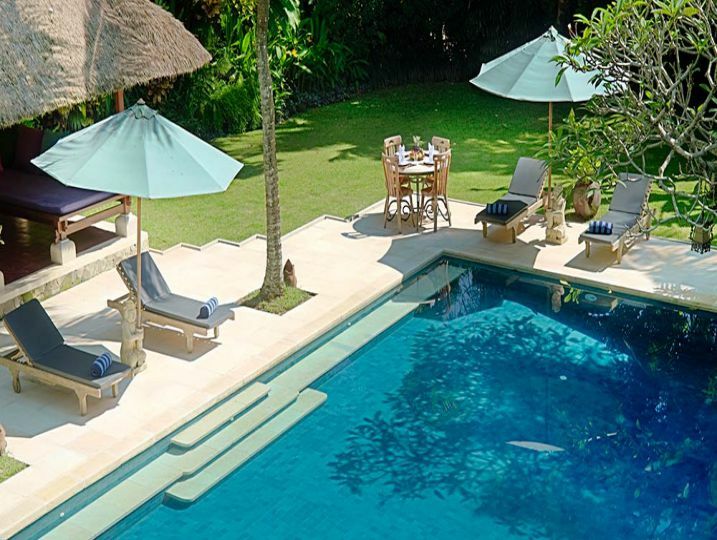 Fully staffed, including a fabulous in-house chef, guests need only focus on lazing by the pool, indulging in scrumptious home-cooked meals, being pampered with deluxe spa treatments, or simply admiring the views. 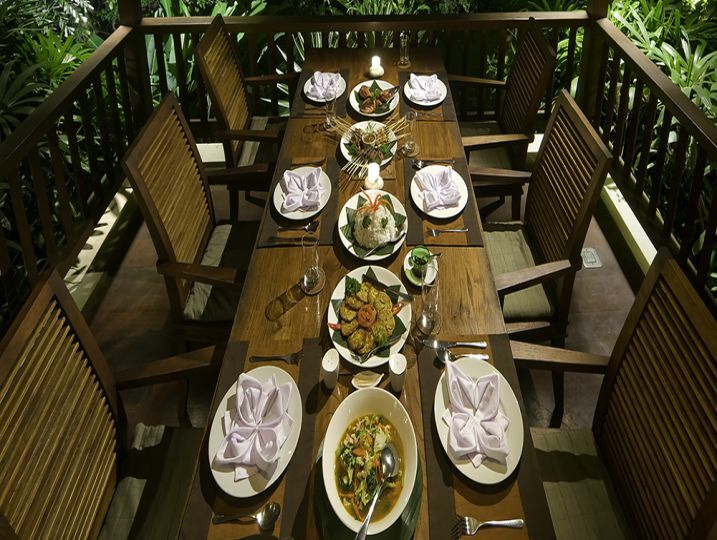 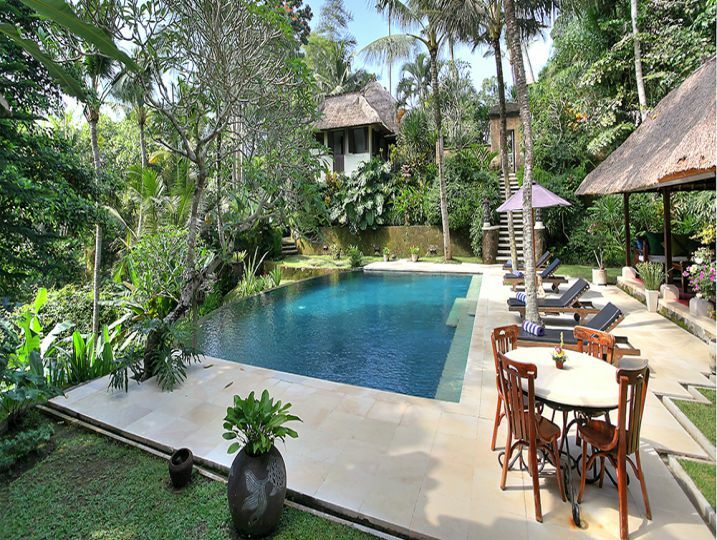 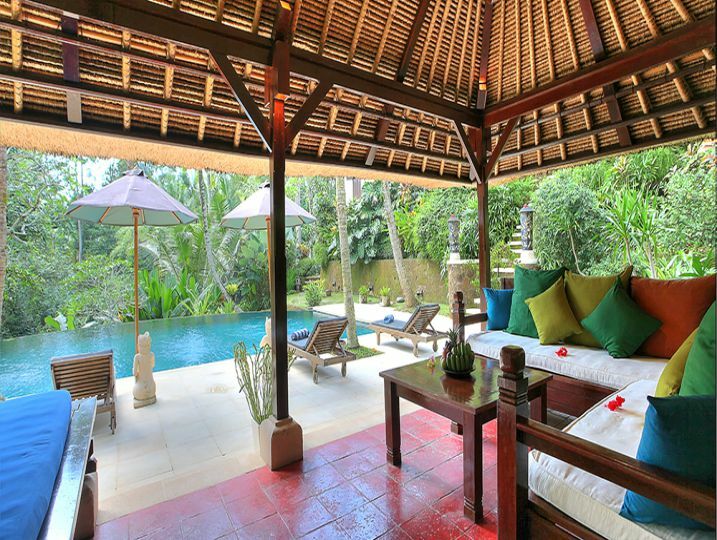 Villa Alamanda is available for selected dates.